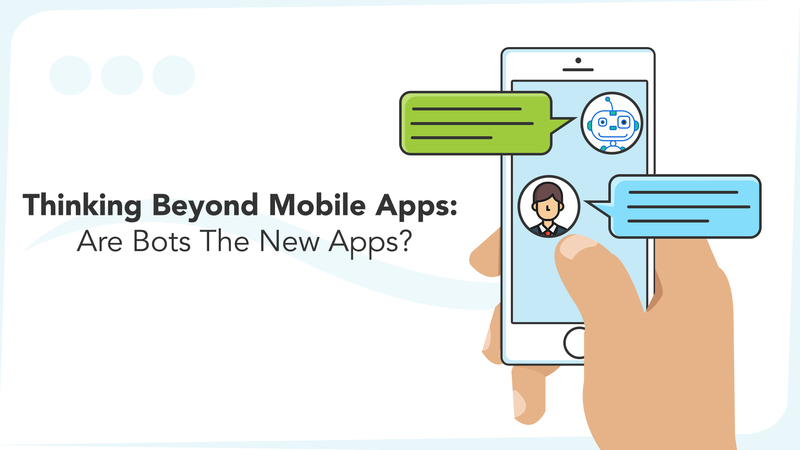 Thinking Beyond Mobile Apps: Are Bots The New Apps? The mobile app industry has entered the stage of maturity (mind you, it’s a relatively early maturity, and there are still plenty of growth opportunities). In the first quarter of 2015, the total number of active users (monthly) of the top four mobile messaging apps overtook that of the top four social networking applications, and since then, the gap has only grown wider. According to an Activate report, close to 3.6 billion people will have at least one messaging app installed in their smartphones by mid-2018. At a time when much is being written about the onset of ‘mobile app fatigue’ (on average, nearly 80% individuals use only 3-4 apps on their phones; only around 0.01% of all apps are expected to be financially successful next year), messaging apps are well and truly going against the trend – and their popularity is boosting the proliferation of chatbots. To use a new mobile app, some time has to be invested. You have to go to the app stores (Apple/Google), look up the app you need, download and install it on your device, (probably) register on it – and only then can you start using the application. In comparison, bots are a lot easier to get onboard. All that a person has to do is find the bot from within the messaging apps, and things are set for him/her to start chatting. Chatbots built on reliable platforms are ‘always on’, and have seamless access to the identity and preferences of users. While it generally takes a couple of minutes (at times, maybe more) to start using an app, bot-usage can be started in a matter of seconds. The ‘significantly quicker access’ is a critical factor. Artificial intelligence (AI) and machine learning have important roles in the current ‘chatbot revolution’. According to Forrester, there will be whopping 300% jump in investments on AI-based tools and resources this year (over 2016). ‘Intelligent automation’ is helping chatbots simulate actual human conversations in a better way – with just that required touch of empathy and personalization. Thanks to the rapid advances in AI standards, new-age bots can also store, analyze and identify patterns in user-data, and even carry out transactions (everything is automated within a single chat window). AI chatbots with optimized natural language processing (NLP) and clean, efficient UI can do everything that a mobile app can (and then some more!) – and they are generally much quicker too. There will be an amazing 2.2 million devices compatible with voice-recognition technology by 2020. At last year’s Google I/O conference, it was announced that 1 out of every 5 searches on Android apps (and, of course, the Google app) is voice-based. Chatbots serve as ideal platforms for developers to implement ‘conversational UX’ – powered by voice technology. Users can seek specific information/service, and the same can be instantly delivered by an ‘intelligent bot’. With the accuracy of speech recognition software tools increasing steadily (recent stats put the accuracy at 90%), the adoption of chatbots with ‘conversational UX’ is growing fast. When the first-generation World Wide Web came along, no one had imagined that its popularity will be eclipsed by that of mobile apps one day (apps are considerably more popular than mobile web too). The shift from smartphone applications to smart chatbots is a natural progression too. In a way, bots can be referred to as the ‘third-generation communication platform’ (web being first-generation and apps being second-generation). Websites had yielded to the mobile operating systems – and the latter is now yielding to messaging platforms and the bot technology. It’s all in the flow of innovation and progress of technology. ‘Talking’ with a chatbot is just like interacting with an actual human being via live chat. For commercial and financial requirements in particular, this bi-directional conversation is of immense importance – and the interactions should be in a seamless flow, with users providing information and ‘receiving’ responses from the bots. With mobile apps though, this interaction is mostly one-way – with users having to provide most of the information. Responses are, more often than not, limited to push notifications and the occasional messages. Receiving data has emerged as a key element of smart platforms – and chatbots are way ahead of apps in this regard. People love to communicate with businesses via messaging and chatting. In the United States, close to 65% customers expressed their preference for chatbots (over actual human beings) for getting their service requests resolved. What’s more – businesses now need to be ‘available’ and ‘accessible’ to clients/stakeholders on a 24x7x365 basis. The option of having a round-the-clock call center team for live chatting is neither practically nor financially feasible – and bots offer an excellent alternative. High-quality chatbots meet the ‘five-9s rule of availability’ (available 99.999% of the time) – and they help businesses in increasing the reach of their brands in a big way. Creating a chatbot is, in essence, piggybacking a new software on an already existing, tried-and-tested messaging application (e.g., FB Messenger). A new bot can be conceptualized and built much more quickly than a mobile app – which requires a team of iOS/Android developers (depending on the chosen platform(s)), UI/UX experts and animators, and a reliable group of app testers. The overall app development phase, on average, stretches for 6-8 weeks – and the expenses are, understandably, much higher. 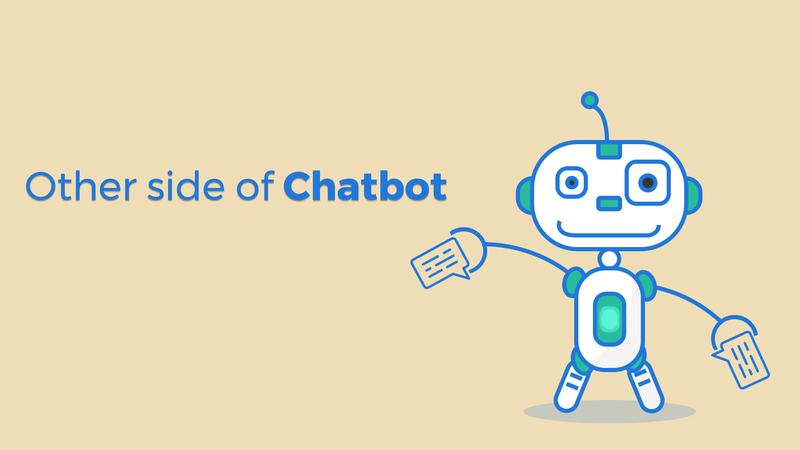 There are several bot frameworks available as well, which further ease the task of creating and deploying a new chatbot (continuous feature integrations can be done by tweaking the backend). Bots require lower monetary and time investments – and this gives them a major advantage over apps. Note: Different apps have different types of interfaces, and hence, the learning curve for users becomes a factor. Bots, on the other hand, brings in a layer uniformity or singularity – making it easier for people to start using an already familiar platform. The need to get acquainted with a large number of disparate app interfaces disappears. Make no mistake…the app economy is not going to die out anytime soon. However, the fact remains that the ‘wow factor’ of mobile applications is diminishing rapidly – with new app installations becoming few and far between (in the United States, app downloads fell by 20% in 2016) and nearly 25% of all newly installed apps being discarded after single-use. On the Apple platform, 50% of the overall app store revenues are generated by 20-odd top developers – while the majority of indie developers are under the so-called ‘app poverty line’ (the difference is more noticeable in the Android ecosystem). As highlighted in the previous point, building times are higher for apps and promotional campaigns also involve significant expenses. The latest bots have cutting-edge features, rich conversational properties, and solid backend support – and as the app industry shows signs of slightly slowing down, they can emerge as a more than viable replacement. Bots typically offer a nice blend of interactive fun and practical utility – something that traditional mobile apps often cannot provide (a business app is serious, a storytelling app is fun, and so on). By October 2016, well over 3 million LINE@ accounts had been created by businesses to launch their bots – while the number of bot applications on Facebook Messenger had zoomed past the 50000 mark. In addition, chatbot platforms are gradually emerging from being ramped-up versions of interactive voice response (IVR) tools, to actual smart conversation (text-based or voice-based) platforms. The interactions are natural, often have fun, edgy elements about it, and can potentially be more engaging than mobile apps. There are two ways to access the same information on the web. The first involves the hassles of actually searching on Google, parsing through the search results, opening links and going through the contents in them. The other, and much easier option, is to rely on an AI-powered bot for delivering the same information. It won’t be wrong to say that intelligent bots are doing all the hard work for users – who only have to place their queries, and get instant replies. This, in turn, is bringing down the ‘cognitive load’ placed on the users. How can you share a mobile app? There are apps like SHAREit and Xender for file/app transfers – but to use them, they have to be downloaded first. The need for installing an extra app for sharing makes the overall process long-drawn and rather cumbersome – particularly when compared to smart bots, which can be distributed much more easily. Bot sharing can be done directly from the underlying messaging platform, and they can be shared to, or linked with, social media with absolute ease. In select cases, one bot can also ‘recommend’ another bot. Scalability is yet another major advantage – with bots being ideal for both SMEs as well as large corporate houses. Chatbots are generally dynamic, and they are well-equipped to handle peak and low demand volumes without any glitch in performance. The enhanced portability of bots also give it a major boost over apps. Right from mobile digital assistants like Google Now and Siri, to email accounts, smartwatches, vehicle infotainment systems and live chat environments – a bot system can reside practically anywhere. Mobile apps, in comparison, have to function within limited interfaces. Satya Nadella’s ‘bots are the new apps’ prediction does have merit in it – with AI-based bots indeed promising superior performance and usability over traditional mobile apps for many purposes. However, it also has to be kept in mind that bots are not finished products per se, and (as the Tay disaster proved), there are still considerable room for improvements, greater stability and bug-free assurance. Mobile apps are way too popular to give way to bots overnight – and over the next few years, the two can easily co-exist. Let’s just say that, in the realm of technology, apps are the ‘present’, while bots indeed have the potential to become the ‘future’. The built-in Messages application has received a couple of handy new features in the latest iteration of the iOS platform. There is an all-new app drawer, which can be swiped by users to share stuff (games or songs or emoticons or stickers) with their contacts. All the messages in iCloud gets auto-synced across all paired iPhones and Mac systems. People can now easily share files from Apple Music through Messages – and enjoy together. The two have become one and the same in iOS 11. After upgrading their devices, users will no longer see a separate Notifications Center. Instead, they can simply pull down the lock screen itself to check out all the notifications (including the ones that were missed earlier). This, according to early testers, would add to the convenience factor of iPhone owners – since notifications are now neatly organized and accessible at a single place. Swiping sideways displays the ‘Today’ view. 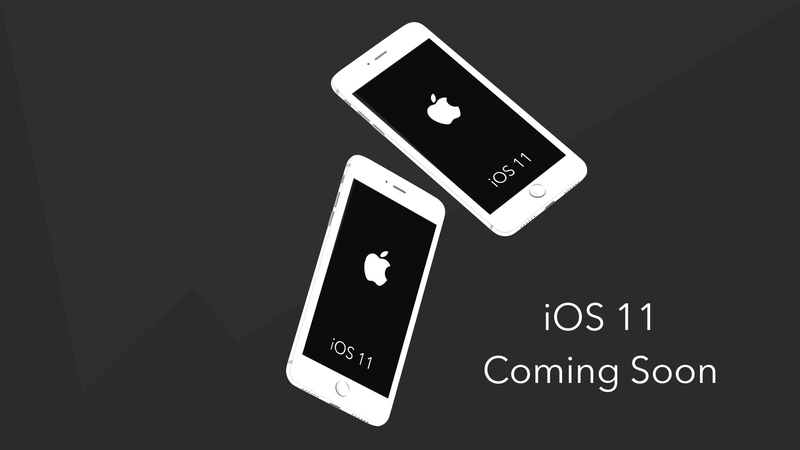 This one is big news for iOS app developers and final users alike. At this year’s WWDC, Pokemon Go was used as a demo to showcase ARKit – the new software development kit that allows app and game makers to integrate cutting-edge augmented reality features in their software. In essence, the ARKit tool will help developers enrich the environment by placing virtual objects in the real-world – with the help of the native camera of iPhone/iPad. Support for augmented reality is probably going to be the single biggest new feature in this year’s iPhone 8. Note: One of the launch partners of AR in iOS 11 will be Ikea. Every recent iOS update seems to make improvements in Siri – and iOS 11 is set to push the envelope further. Apple’s mobile digital assistant will now speak in a more natural, human-like voice (male or female voice can be chosen), and will have the capability to translate queries made in English – into French, Chinese, Italian, German and Spanish. The artificial intelligence (AI) support for Siri has been enhanced, with the assistant now being able to offer interesting facts and tidbits about the songs played from Apple Music. Depending on the precise location of a user, search results and news are suggested to him/her (suggestions are also based on the interests of users). More refined ‘on-device learning’ will also help Siri in predicting the names of things (cities, films, etc.) that a person is going to type on the phone. The security standards of Siri have also been bumped up, with all conversations between users and the assistant being encrypted. If you decide to get the new iPhone 8, you’ll have that much less reason to carry your DSLR camera everywhere. Multiple pro-level filters have been included in the revamped Photos app of iOS 11 – skin tones have been made more natural, and users also have the option of applying special filters for classic effects. For the fan of photography, the fun does not end with the new Photos filter. iOS 11 will be coming with a revolutionary ‘Live Photos’ feature – to let people create fun ‘bounces’ and ‘loops’ with the pictures they take. The ‘long exposure’ feature helps in snapping photos with unmatched effects and tones. With the latest version of iOS, Apple has certainly raised its game as far as photography with smartphones is concerned. Note: In iOS 11, Photos will be stored in the .HEIF format, while videos will be created in the .HEVC format. The new compression image/video compression standards will cut down on the space required to store these files – without compromising on the quality in any way. The Control Center in the iOS 11 platform has become more customizable than ever before. Users can now do a lot of things – right from adding Home controls and voice memos, to managing playlists and changing the volume – directly from the Control Center. 3D Touch, which debuted on iPhone 6S a couple of years back, is now available in the Control Center, making user actions faster and more responsive. The focus is clearly on giving iPhone-owners a ‘more personal experience’. Imagine being able to send or receive money from another person from inside the Messages app (no third-party apps involved). The upcoming version of iOS will bring precisely that functionality to the hands of users – by integrating Apple Pay inside Messages. With the help of this peer-to-peer payments feature, people will be able to request for, or receive from others, payments in a completely secure manner. The transferred amount gets stored in Apple Pay Cash and can be used to make other payments online (or in mobile applications) and even sent to bank accounts. This new feature might well place a challenge for established players like Vemmo. Note: To start things off, both Apple Pay Cash and peer-to-peer payments will be available only to US users. Along with ARKit, CoreML is yet another all-new futuristic tool that iOS 11 would place in the hands of third-party iPhone app developers. The latter will be able to use the CoreML framework to seamlessly integrate advanced machine learning modules in their new applications (thereby making the apps more ‘intelligent’). GameplayKit, Vision and Foundation (for NLP) are all supported by CoreML – and it also saves power and reduces the total amount of memory footprint. The Quicktype Keyboard will be a really useful addition in the iOS 11 platform. With it, users will be able to type quickly and accurately, by using one hand (there are plenty of times when using both hands for typing is simply not possible). The keys will move nearer to the thumb of the user to enable this one-handed typing, after the Quicktype Keyboard is activated by long-pressing the emoji key on the default keyboard. Who said typing isn’t possible when you are holding a cup of tea in one hand? Note: The Do Not Disturb feature of iOS 11 is worth a separate mention too. Upgraded iPhones will be able to detect when users are driving – and will let them concentrate by sending automated responses to everyone who might be trying to call or send messages (app notifications will be muted too). iOS 11 will do its bit towards creating ‘smarter homes’. Airplay 2 has been billed as one of the most interesting new additions in the platform – and just like Sonos, it will be enable multi-room support for home speakers. In other words, Airplay 2 will allow users to play the same music in different rooms of the house simultaneously (on smart, compatible speakers). Through Siri as well as Apple Music, the home audio will be controllable from Apple TV with the help of Airplay 2. Music on multiple speakers can be synced to start together, and volume levels can be adjusted easily. With biggies like Bower & Wilkins and Beats already confirming support for Apple HomeKit, this feature has the potential to become very popular. For the first time ever since its launch, the Apple App Store has been redesigned – with the Cupertino company referring to to the revamped App Store as ‘designed for discovery’. There will be separate, dedicated ‘Apps’ and ‘Games’ tabs, that will showcase the latest and the most popular applications under the two categories respectively (in-app purchases for already installed will also be shown). When the App Store will be first opened, the ‘Today’ tab will come up with lists and collections (updated daily) and informative tutorials. Each new app will have its very own ‘story’ – and applications will have their product pages too. Apple has paved the way for iPhone-owners to enjoy music with their friends, and discover great new music with the latter’s help. A person can now check out the entire playlists of his/her friends (no prior permissions required) – while stations and albums can also be shared within networks. Siri, as already highlighted above, has enhanced music curation capabilities as well. Discovering new artists and enjoying the best of Apple Music have never been this easy. For years, Apple Maps have been (rightly) considered to be not as good as Google Maps – but the Cupertino company is pulling up in a big way. There are significant upgrades in Apple Maps in iOS 11 – with detailed, accurate navigational information available from the ‘Lane Guidance’ section. Yet another high point of the rejigged Apple Maps is the built-in ‘Indoor Maps’ feature. Users can now take a sneak peek inside select shopping malls, major airports and other locations. Information about speed limits can also be read off the new Apple Maps. After iOS 9 had launched split-screen multitasking for iPad, iOS 10 had no iPad-specific features. The latest iteration of the platform, however (and rather expectedly), has a large number of new features and functionalities for the tablet. The ‘Files app’ keeps all the files on your iPad neatly organized – ensuring easy searchability and access. Files stored in iCloud Drive and Dropbox can also be maintained with the Files app. iOS 11 has finally brought in the drag-and-drop functionality to the iPad, while the multitasking feature has been significantly improved. There is a new Dock (mirroring the one present in Mac computers) – and from there, apps can be launched for multitasking. Apple Pencil – launched in 2015 – has also received new features like inline drawing, instant markup and instant notes. Apple does not seem to have any plans of giving up on the iPad line anytime soon. While the new features of iOS 11 have mostly come in for high praise from software and app developers as well as general Apple enthusiasts, there have been some concern over the decision to discontinue Twitter and Facebook integrations (for third-party applications). The update will be available on iPhone 5S and later, iPad Mini 2 and later, iPad Air, first and second-gen 12.9” iPad Pro (along with its 9.7” and 10.5” variants) and the sixth-generation iPod Touch. Support for iPhone 5 and iPhone 5C (including legacy apps) has been stopped. 2017 marks the ten-year anniversary of the iPhone – and Apple has made sure that this year’s iOS update has enough new features and add-ons to live up to the user-expectations. It will debut on the iPhone 8 this September. Over the course of the next developer and public betas of iOS 11, we will get to know what other features are added (or maybe, removed?) to the platform before its final release. The importance of chatbots in the field of business is rising at a rapid pace. A recent TechEmergence study estimated that, over the next few years, bots will emerge as the single largest category of artificial intelligence-based applications. In 2016 alone, well over 30000 new branded chatbots were launched – and by the end of this decade, nearly 86% of all ‘customer conversations with businesses’ will take place without human management (i.e., will be automated). For low-level interactions and transactions in particular, 7 out of every 10 people prefer conversing with a bot instead of humans. A big factor behind the growing adoption rate of AI chatbots is the ‘always on’ nature of these applications. The platform you select should, as a rule of thumb, ensure 24×7 availability of the chatbot for customer interactions. According to experts, a high-quality chatbot framework should abide by the ‘five nine-s rule’ of availability (available 99.999% of the time). Downtimes should be minimal, response speeds should be high, and there should not be any risks of sudden failures/crashes. A chatbot platform has to be customer-oriented and highly reliable. A bot platform should allow users to set up new, smart chatbots quickly. If the UI of the platform is overly complicated, that objective is likely to be defeated – and a fair amount of time will be lost while trying to ‘learn’ how the platform is to be operated. Businesses should always go for chatbot frameworks that have simple, streamlined UIs, user-friendly controls and architecture, and proper tutorials/manuals. Integration with Facebook Messenger is a desired feature for many bot platforms, while analytics information should be easily available. Users who do not have much prior coding experience should also find it easy to launch intelligent bots on the platform easily. Note: In most cases, it is advisable to go for a chatbot platform that offers cross-platform support. OnSequel is a good example of such a platform. It’s easy to not look beyond Facebook Messenger, when it comes to choosing a bot platform. After all, it is by far the biggest framework – and has been estimated to reach the 2 billion users mark by 2018. However, it should be kept in mind that the size of a bot framework is directly proportional to the degree of competition your bot (created on it) has to cope up with (FB Messenger already has close to 35000 bots). For startups and other companies at an early stage in their lifecycles, going for a smaller platform is a better option (something like Telegram fits the bill perfectly). This strategy will allow these ‘new’ businesses to reach out to a wide cross-section of audiences. For larger, more mature businesses, using a biggie like FB Messenger to target an already identified customer-base makes more sense. The volume of interactions with a chatbot does not remain the same at all times. If the bot platform you selected is not properly scalable – the chatbot might end up showing glitches at the time of high demand, while you may have to cough up unnecessary money (as capital expenditure) during low demand periods/idle times. To tackle this issue, look out for a platform that has dynamic scaling properties. The bot created on it should be able to handle fluctuating demand/interaction volumes with ease – and its functionality should never be affected. It is impossible to accurately predict the number of people logging in at any time – and the platform needs to be able to manage this uncertainty. There are plenty of multi-featured chatbot platforms available at present – and not all of them offer similar bot development solutions. As the business owner, the onus is on you to determine the type of chatbot that your business requires, and select the platform accordingly. If you are looking for a ‘conversational chatbot’ that would simulate conversations and keep users engaged (maybe act as a substitute of the FAQ page of a website), choose a platform that uses Artificial Intelligence Markup Language (or, AIML). On the other hand, you might need a ‘transactional chatbot’, which will help customers to achieve certain specific goals (food ordering, ticket buying, etc.). Find out the precise bot requirement for your business, and then start to look for a suitable platform. Note: If you wish to launch your chatbot as quickly as possible, go for a ‘no programming platform’. Many existing platforms are supported by the biggest tech companies – with Wit.ai (Facebook) and Api.ai (Google) being classic examples. Depending on the nature of chatbots to be set up, and also for maintaining higher productivity levels, developers might need to use heterogeneous programming languages. A chatbot platform should, hence, support multiple languages – like Python, C#, Node.js, and other related technologies. Modern-day enterprises do not, generally, use the same language for all their development tasks – and developers typically prefer using the language(s) they are best acquainted with. Platforms that are language-specific are limited in nature, and not of much use. Note: Search for platforms that will allow your bot to be easily accessible through all the leading social media channels, and messaging/voice platforms. Slack, Facebook and Skype are some channels via which customers often try to connect with chatbots. The tools and features of a chatbot platform are the biggest indicators of its usability. A snazzy, elegantly designed platform is all very fine – but unless there is a proper integrated environment for creating the chatbot, problems might crop up. A platform should ideally be able to help users during the development, debugging and deployment stages – ensuring optimal performance and high productivity. In particular, testers should be able to perform integration and unit tests with ease, while creating mock objects should not be a problem either. Scaffolding codes, readymade templates and quick start wizards are all useful in boosting the overall pace of chatbot development. The platform you choose should have a built-in emulator as well, for testing. Once again, if you are looking to make a bot that maximizes the social reach of your business, Facebook Messenger should be the go-to platform. However, if you need to target any particular niche category, other alternatives can be considered. For instance, if millennials are to be targeted, Kik would probably be the best bot framework (around 70% of its users fall in the 13-24 age group). The nature of promotional and marketing strategies planned should also influence the choice of bot platform. Make sure that your chosen framework supports smooth integration with third-party applications, for enhanced functionality. You should also take into account whether the bot has to be monetized or not. Artificial intelligence standards are becoming increasingly refined – and with that, the demands on chatbots are growing fast. To be able to satisfy customers and carry out interactions without a hitch, a bot should be easily integrable with transaction services, analytics data, research tools and other behavioural resources. The natural language processing (NLP) has to be of the highest order, to ensure smooth, contextual chatbot conversations. The interface of the bot platform should support two-way transfer of images, files and other attachments (apart from, of course, text-based communications). The nature of interactions between a user and a chatbot can be diverse, and a well-rounded bot platform has to support everything. Note: Button clicks, option selection, and even data sorting should be included in the overall list of interactions supported by a chatbot. Unless the authentication standards of a bot platform are robust enough, using it can be downright risky. More and more people are sharing personal, sensitive, confidential data through chatbots – and users have to make sure that there are no chances of unauthorized access/hacks of such information. It would be a good idea to always stick with platforms that support the oAuth authentication protocol. In addition, it should be easy to audit the performance of enterprise chatbots at any point in time. The underlying platform has to let administrators monitor the activities happening on a chatbot, and have the option of ‘rich logging’ (the logs must be available directly from the dashboard). Constant monitoring/auditing is very important for maintaining the quality of chatbots over time, and resolving errors/problems on the fly. It is no longer sufficient for a bot framework to only offer the necessary automation endpoints and basic functionalities. The adoption of DevOps standards is increasing steadily (2016 was named by Gartner as the ‘Year of the DevOps’) across enterprises across the globe. The bot platform you are planning to use should allow continuous, seamless integration and delivery – which, in turn, would ensure smooth automation and easier deployment of the technology. Developers should face no difficulties while trying to integrate the DevOps mechanism in their AI chatbots. Note: Over 30% SMEs have already implemented DevOps practices across their entire business. Large enterprises are also fast warming up to the mechanism. There are many self-service platforms out there (as an alternative to delegating the task to third-party mobile app companies, or having an in-house team to build a chatbot from scratch). The cost structures vary across platforms – and users need to have a pre-determined budget and allocation level, to prevent expenses from spiralling upwards. Make sure that your platform has a free-to-use basic plan, and the charges are based only on the active machine timings of the bot (instead of static, monthly charges which might include significant idle times). Check the plan limits (i.e., maximum interactions) and the corresponding monthly expenses. 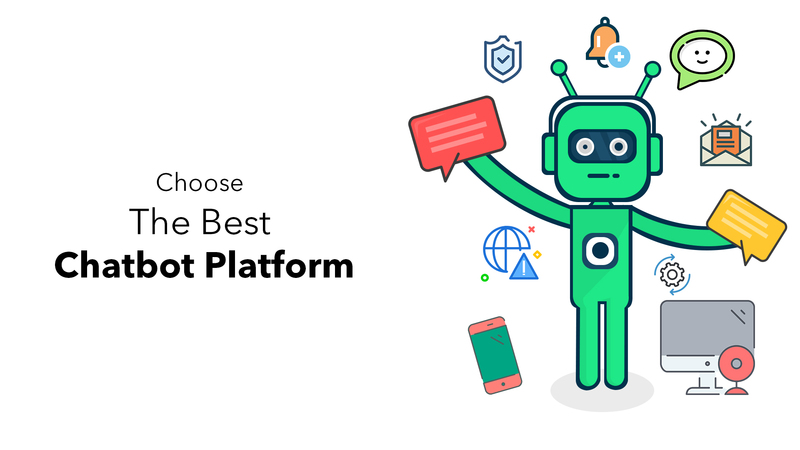 Depending on your budget, requirements from the bot, and features of the platforms you have shortlisted – make an informed choice. Ideally, your chatbot platform should not be reliant on proprietary technology, and should function in accordance with the industry standards (for REST endpoints, JSON is the standard). The bot(s) you create should be able to take the initiative and start conversations with customers, and should be capable of performing tasks both synchronously and asynchronously (this enhances the scalability of the bot application). Embedding a chatbot on a mobile app should also be a breeze. The presence of so many chatbot platforms has, without doubt, made the task of finding the ‘right’ one just a tad trickier – but with due care and proper research, you can zero in on the framework that would be best suited for your purposes. Facebook launched the Messenger 2.0 platform at this year’s F8 developer conference (April 18-19). A couple of weeks later, Parl.Ai – an advanced AI evaluation and training tool – was launched. Google, meanwhile, released its very own chatbots analytics tool (Chatbase) last month. Chatbot frameworks in particular, and bot technology in general, is evolving rapidly – and your business needs to keep up with it. With advanced machine learning capabilities, chatbots are increasingly becoming adept at ‘imitating’ human conversations. That, however, can prove to be a double-edged sword – since hackers can easily create bots that pose as buyers or suppliers, to strike up conversations with the in-house personnel of businesses. Over the course of a chat, this ‘rogue bot’ can convince users to share personal information and/or sign up for unauthorized/inappropriate, malicious content. Other forms of phishing attacks can also be launched by hackers through these bots. As a rule of thumb, users should stay away from sharing confidential information (say, credit card details) on a bot – until its security is verified. Links supposedly sent by vendors/buyers should be treated with caution as well. Note: Users of the Tinder app have already been affected by a malware bot, posing as a female user. For all the advances in artificial intelligence and predictive behaviour (helping in more intuitive, contextual chats) – chatbots remain, in essence, glorified mechanical robots. They are pre-programmed by developers, and can handle queries/comments from humans only as long as the overall conversation flows in the ‘expected path’. As soon as something else – that has not been fed into the bot program – is asked, the chatbot’s performance gets affected. In most such instances, the program tries to manage the situation by putting forth more qualifying questions, which can be: a) repetitive and b) irritating for the customer. To be of practical use, a chatbot has to be capable of handling different scenarios and resolving queries as quickly as possible. While the chatbot revolution definitely has more than its fair share of innovative features, there is one significant downside. These programs (built on platforms like Slack, Facebook Messenger, WhatsApp or SMS) typically use open Internet protocols, that have been in existence for long – and can be targeted by professional hackers relatively easily. In fact, chatbots have been referred to as the ‘next big cyber crime target’ precisely for this reason. Using chatbots with standard protocols is particularly risky in the financial sector (e.g., banks). To tackle these security ‘threats’ and ‘vulnerabilities‘, most financial institutions currently ensure that all types of data transmissions take place through reliable HTTPS protocols. Transport Level Authentication (TLA) is another cutting-edge technique for financial sector chatbots to enhance data security standards. Note: Robust security is essential for bots that support speech recognition (voice technology) as well as the ones that are purely text-based. A big advantage of chatbots is that they allow buyers to check out products right inside the chatbox – doing away with the need to actually visit stores (or browsing through the different item categories on online shopping portals). However, a closer examination suggests that confusions can crop up in this regard. A person might ask a chatbot to show shirts of a particular size – and the computer program would show all items in that category. The customer has to narrow down the displayed range by mentioning his/her favourite colour, sleeves, collar and material. The process can be time-consuming (defeating the very essence of chatbots somewhat) – and it might well happen that the bot ultimately fails to show the product that a customer is looking for. This, in turn, obviously affects the purchase decision of the latter. For some cases, actually checking out the available stock yields a more satisfactory result than simply dealing with chatbots. ‘Intelligent chatbots’ are ideal for low-level, repetitive jobs at organizations. Since they are programmed and have the latest AI support, these chatbots can do such ‘menial’ jobs much faster than human workers. While that is great from the business productivity perspective, a serious problem raises its head…about chatbots being likely to displace human workers from low-level positions in future. The threat is particularly serious in developing countries like India, where nearly 1.5 lakh new employees join the BPO sector every year. From the demand-side too, bots seem to have an upper-hand over humans – with 44% users in the United States stating their preference for chatbots (instead of humans) for customer services. While those at senior-level positions are not at risk, openings for ‘online marketers’ and ‘customer relationship managers’ are likely to dry up over the long-run. Note: Chatbots are fairly easy to make for developers, thanks to the presence of the various bot development frameworks. The cost of making chatbots is not very high either. Chatbots are becoming more ‘chatty’ than ever before. Ask Eva, the web chatbot made by Senseforth, whether she likes you – and it will shoot back with a cool ‘am still learning’ response. There are bots that can relate typing in capital letters to greater urgency – and accordingly, hand over the chat to a human employee. Things like personal food preferences, addresses, favourite dresses and a lot more are being shared on chatbots…at times without even realizing that the conversation is taking place with a piece of manipulatable software, and not a fellow human being. Deliberate impersonation can also be an issue. AI-powered chatbots typically store customer data for analysis and greater personalization in future – and there remains a risk of this data being ‘stolen’ by a third-party attacker, and used against the concerned individuals/businesses. An intelligent, friendly chatbot need not necessarily be a good one! AI chatbot programs are supposed to simulate human behaviour closely. How good are they at doing this? While reports keep coming in about the witty replies and efficient responses of bots – the fact remains that most chatbots do not pass the famous Turing Test (conducted to gauge the ‘intelligence’ of machines). This brings up the risk of conversations being unfulfilling for potential buyers – inferior to what a traditional two-way conversation between humans would have been. To minimize these problems, experts recommend preparing chatbots in a way that they can introduce humans in the conversation – as and when required (with a message like ‘I am your AI robot. Let me connect you with our executive’). Chatbots might be very, very ‘intelligent’…but they cannot think for themselves. At least, not yet. Note: The relatively ‘meh’ performance of Facebook M has shown once again that chatbot technology still has a long way to go. ‘Hitler was right’. That was what Microsoft Tay – the ambitious ‘AI with zero chills’ bot – started to tweet within a day of its launch in March 2016 (in a canned ‘Repeat after me…’ series of tweets). The bot had to be suspended – and when it was re-launched a week later, there were trouble again, as Tay started to constantly tweet ‘You are too fast, please take a rest’ – multiple times per second. The entire Tay episode serves as a classic example of how AI chatbots can be manipulated into an engine for spewing out racist, sexist and other offensive content. Developers have to be very careful while designing the security of computer programs. If any loopholes/bugs remain, things can go pear-shaped very quickly. Microsoft Tay (ironically, ‘Tay’ stood for ‘thinking about you’) was an unmitigated social media disaster. Although cloud security has become stronger than before, things are not quite foolproof yet. While using a chatbot, businesses have to be able to track the movement of data (provided by customers) – and follow a clear-cut policy on the location where and the duration for which the data will be stored. There cannot be any uncertainties over the identities of people who will be able to access the information (importance has to be given on ‘authorization’ and ‘authentication’) – and how the same would be used. In the medical and financial sectors in particular, the volume of sensitive personal information shared is high, and the importance of due diligence cannot be overemphasized. People should be able to ‘trust’ the chatbot (and consequently, ‘trust’ the business) while interacting with it. Natural language processing (NLP) is one of the pillars of AI chatbots – and there is no scope for doubting that these software programs can behave like humans while chatting with end-customers. However, most of the chatbots do not have a definite personality of their own – and hence, comes across as too generic and impersonal (the much sought-after ‘human touch’ is missing). In addition, chatbot programs do not (or are unable to) factor in feelings of empathy and emotion – which are often critical while interacting with clients. Software developers should ideally provide a nice little backstory to their chatbots, along with a basic sense of humour (emojis, maybe?) – which will make them more relatable to final users. If a customer wants to know about the bot, the latter should not feel stumped. Note: The CNN chatbot is a good example of a bot functioning like a machine. It fails whenever anything beyond its pre-programmed script comes up in the conversation. Chatbots are still at a nascent stage. Mistakes in speech-recognition and NLP still happen rather frequently – and customer instructions are, as a result, not carried out properly. There are bots which are used to send out spammy, rejigged promotional content, which hurts the ‘digital trust’ factor of these tools. The onus is on chatbot developers to be fully transparent and frank about their AI programs – its features, capabilities and limitations. Developers/Brands also need to be fully accountable for the performance (good or bad) of their chatbots. To its credit, Microsoft came out and accepted full responsibility after the Tay fiasco. In a nutshell, the quality of service (QoS) still requires considerable improvement. Encryption might be one of the first things that come to mind when it comes to digital data security – but many chatbots on public platforms (e.g., Facebook Messenger) are not secure enough in this regard. If a chatbot is deployed on a non-encrypted platform, data transmissions through it might be hijacked by unauthorized third-party agents. Access to company databases and other such private information should not be given to such unsecure chatbot platforms. Ideally, every conversation that takes place on a bot should be encrypted – and the deployment should be done on a secure platform. In the absence of proper channel encryption, chatbots can be soft targets. There are chatbots that miss out on performing more tasks over and above what they actually do (the Fandango chatbot, for instance, should be able to handle payments). Apart from being aware of the disadvantages and likely risks of automated bots, it is also important for final users to have reasonable expectations from the technology (after all, a chatbot is never going to replicate all the functionalities of a premium smartphone!). The chatbot revolution is far from being a fad. AI bots have already started to revolutionize the standard of customer communications, and things will become even ‘smarter’ in the foreseeable future. As discussed above, there are problems and chatbots are not perfect yet – but these issues should be gradually ironed out. What remains to be seen is whether the ‘bots are the new apps’ prophecy would be fulfilled anytime soon! The ‘Bring-Your-Own-Device’ (or, BYOD) policy is increasingly being implemented in workplaces around the globe. A recent report showed that nearly 3 out of every 4 businesses worldwide either already practise BYOD policies, or have plans to implement it in the foreseeable future. Considering the many benefits of BYOD (productivity enhancement, lower costs, better mobility, etc.) – the rapid growth of this policy does not seem particularly surprising. The overall size of the BYOD market will swell to $181.4 billion by the end of this year. There is no guarantee that all employees would actually have updated security patches and fixes on their devices. Smartphones and tablets with outdated software are more vulnerable to hack attacks – which can compromise the confidentiality of valuable corporate data. The problem gets more compounded for Android handsets – since the availability of the latest security updates depend on the OEMs and carriers on this platform. Unless employers can make sure that all the devices brought in by workers have the necessary ‘protections’, problems can always crop up. Note: Companies need to have a policy that makes it mandatory for employees to regularly update the firewall/antivirus on their devices. It is next to impossible for organizations to keep a tab on the different types of mobile apps that employees choose to install in their handsets. Hackers can easily create applications with malware – and when people install them (often, app permissions are allowed without checking the details carefully), all official data present in the device gets exposed. In fact, such spyware apps can even be used by third-party agents to access servers and ‘steal’ important data stored therein. It is extremely important for businesses to have a proper ‘Mobile Application Management’ (MAM) standard in place – to minimize the chance of such risks (downloads from third-party app stores should be banned). The IT departments can also blacklist each and every suspicious app. On average, close to 70 million smartphones are misplaced or lost by users. Of more relevance to our current discussion is the stat that, nearly 4.5% of all smartphones issued by organizations to their employees are stolen every year – with almost 52% of such cases happening at the workplace itself. Now, every stolen device poses a security risk – since all the data stored in it can be accessed/used/manipulated by the perpetrator. While there are tools to remotely wipe off data from stolen devices, an Osterman Research report revealed that this is possible in less than 25% of all such lost smartphones. Note: Most employees either do not protect their devices with passwords/passcodes. That makes ‘data stealing’ that much easier. Many personal devices are set up to connect to any open wifi network available. While organizations with BYOD policies, of course, have secure access points for employee handsets – connecting to other open wifi networks (at public places, hotels, restaurants, etc.) can be dangerous. Experts advise caution while using unsecured wifi at home as well. Using a malicious wifi network can lead to official tasks becoming visible to hackers (i.e., the network visibility can be unnecessarily increased) – and chances of ‘man-in-the-middle’ attacks become higher. To work around this risk, companies should make it compulsory for employees to use a virtual private network (VPN) while interacting with any official data on their personal handsets. Employees can leave a company at any time – and rather alarmingly, most BYOD-following companies do not have clearly-defined policies for such employees. As a result, sensitive corporate information remains in their devices – and that can easily fall in the wrong hands. The risks of such ‘data leakage’ is even greater when a person is terminated and leaves on unpleasant terms (since (s)he can deliberately five out the information with competitor firms). While it might not be practically feasible to ask employees who are leaving to wipe all data from their devices – at least business-related apps and files need to be erased. Once a person is no longer a part of a company, (s)he should not have access to any internal information of the latter. Many iDevice-owners jailbreak their handheld devices (China leads the way regarding jailbroken iPhones). On the other hand, close to 28% of all Android phones are ‘rooted’ by their users. When such jailbroken/rooted devices are brought under the BYOD-fold, they can ‘open up’ entire databases – providing a convenient entry point for hackers and cyber criminals. Native security restrictions become invalid, and users (with their administrator-level rights) might unknowingly install external malware applications. Prior to registering any device for corporate use, the IT security staff should ensure that it has not been jailbroken or rooted. In 2016, close to 87% of businesses across the world faced cyber security threats in some form or the other (as per a Bitglass report). Since enterprises typically use both mobile storage and cloud storage for data transmission and maintenance – it becomes difficult after a point in time to keep track of the status of any particular information (i.e., data movements). There are third-party tools can perform this task – but their reliability remains an issue. As SaaS standards are becoming more advanced and reliance on cloud services are increasing, risks of data stealing (through ‘phishing’ and similar attacks), ‘data loss’ and lack of compliance are going up too. A whopping 90%+ organizations have serious concerns over cloud security. Note: Last year, there was a three-fold increase in ransomware attacks on organizations. In a bid to minimize overall operating expenses, many companies stay away from providing full reimbursements to their employees (to cover BYOD costs). According to a Tech Pro Research report, 18% respondents receive a monthly stipend – while a measly 7%-8% employees actually receive full reimbursements. That, in turn, retains the ‘personal’ nature of the devices, with employees feeling greater freedom to use their favourite apps and games. Gaming, in particular, on a registered device (using the corporate network) can put additional bandwidth and storage pressure on the network. Productivity levels can also be hampered, if workers access social media sites or play games or chat on IM applications on their devices (using up available data resources as well). With BYOD policies evolving over time, it is becoming increasingly difficult to demarcate between personal usage and official usage of a device. Employees are unlikely to react well to a ‘big brother’ attitude from organizations (i.e., full restrictions on the apps and activities permissible on devices). At any time, a company might feel the need to remotely wipe off the data on a device – and personal data might also get erased. If there are any glitches in the endpoint security standards of the BYOD policy and infrastructure, problems are likely to happen. Note: Employees can also access/download malicious unauthorized content on their devices, particularly since data restrictions are (at most organizations with BYOD) minimal. 8 out of every 10 employees feel that personal smartphones will have larger roles to plays in workplaces, in the near future. In such a scenario, the importance of maintaining diligent mobile device management (MDM) becomes immense – and the responsibility of ensuring the compliance lies on the tech/IT departments of organizations. The stats, however, paint a contradictory picture. Close to 18% workers report that they use personal handheld devices for officework – without the respective IT departments even being aware of it. More alarmingly, over 28% of tech departments prefer to gloss over active BYOD in workplaces. There is clearly a lack of surveillance – and that is increasing the vulnerabilities of BYOD in practice. Even if a company has a clear network access/usage policy – controlling which devices can access it – security threats remain. For the tech-savvy employees, it is fairly easy to use an alternative mechanism (generally in the form of third-party mobile apps) to access corporate databases, without the permission of the authorities. In the absence of set parameters (to monitor data access), confidential information can fall in the hands of unauthorized individuals. 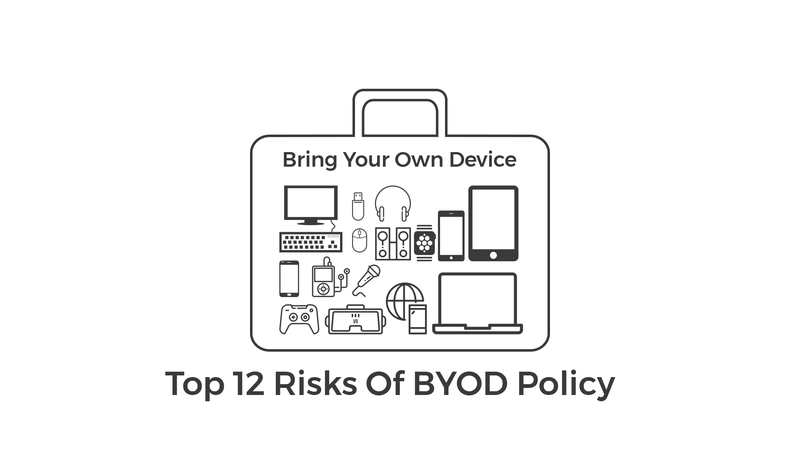 Network policies that are applicable only on wired LAN systems are not adequate for companies that allow BYOD. One of the key drivers behind the growing popularity of BYOD is the chance of lowering overall costs. However, this advantage can very well be nullified – if large expenses become necessary for managing the different types of employee devices that are being used for corporate tasks. There is also the chance of an employee leaving AFTER the organization has spent money to provide him/her with a device and associated service plan(s). In such cases, the concerned organization ends up with sunk costs – which can be considerable. BYOD allows employees to be ‘always on’, and provides an additional layer of flexibility to the working pattern of workers. The higher productivity levels achieved should also lead to greater employee-satisfaction. As discussed above, the policy has its fair share of risks and security threats – but fortunately, most of these problems can be effectively tackled. Organizations need to form and implement a thorough security policy and provide adequate training to workers – before granting the permission for BYOD. It is a dynamic, future-oriented technology and it is set to become mainstream in workplaces worldwide. The onus is on the users to make sure that BYOD does not, in any way, put corporate information in danger. NLG, or natural language generation, can be broadly defined as the capacity of a software to simulate the writing style of human beings. It is the natural follow-up of machine learning – and as AI standards are improving, the efficiency levels of NLG are going up too. In addition, NLG solutions are becoming more scalable and customized than ever – with a recent Gartner report evaluating that, 9 out of every 10 business intelligence (BI) platforms will implement NLG by the end of 2019. Usage of NLG is, in fact, already fairly commonplace in several leading Wall Street companies. The value of the global AI market stood at $8 billion in 2016. By 2020, that figure would jump by a whopping 487% – going beyond the $47 billion mark. The total investments on artificial intelligence will also show a YoY three-fold increase in 2017 (compared to last year). Application of AI in the enterprise sector is growing rapidly too. In 2018, close to 63% enterprises will become users of AI-based solutions – up from the ~40% figure at present. AI for businesses is growing…and growing fast! For machine learning and artificial intelligence to be worthwhile, the concerned software tools need to have regular, uninterrupted access to all types of relevant data. The total volume of big data will inch towards 45 zettabytes by the end of this decade – ensuring that there will be no dearth of collectible information for AI systems in the foreseeable future. Many businesses have started to use open APIs and connected data hubs to tackle the probable problem of data fragmentation, and to ensure seamless data access. Note: While humans will still decide how information is to be used, AI systems will handle the responsibility of analyzing data, identifying trends and patterns in them, and helping people ‘understand’ data better. Artificial intelligence is fueling the growth of chatbots – particularly for businesses – in a big way. A survey conducted in 2016 showed that, close to 65% of all millennials opt to communicate with businesses through chatbots (instead of actually calling the businesses or sending emails). AI-chatbots and virtual live agents were also picked by nearly 38% entrepreneurs and startup-owners as technologies that are likely to show exponential growth over the next 4-5 years. Facebook leads the way among chatbot platforms – and these bots are offering diverse, manifold benefits to clients/users. Note: To know more about the advantages of using chatbots for businesses, click here. Innovation will be the name of the game in the growth of artificial intelligence over the next half a decade or so. Multiple types of AI-focused systems will be used by individuals – according to the precise requirements of the latter. 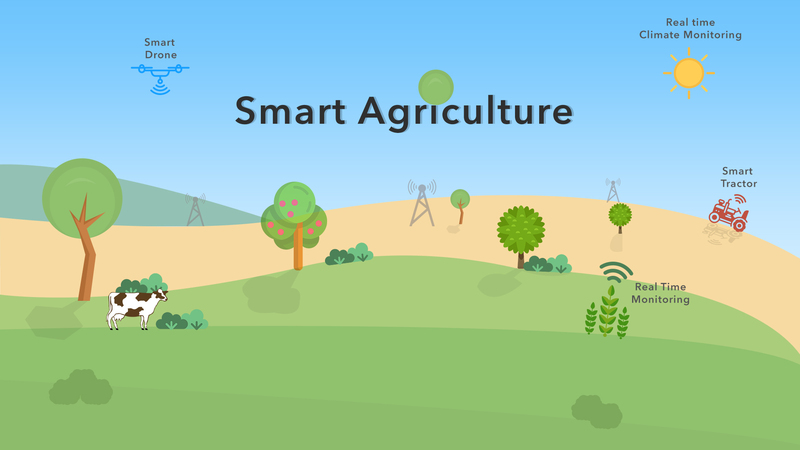 For instance, AI will power drones, home automation systems and smart cars, be at the core of virtual personal assistants and speakers (Google Home, Amazon Echo), and deliver enhanced robotics solutions for the retail and industrial sectors. Personal and commercial security, finance and health sectors will also witness greater adoption of AI systems in the next few years. The Facebook Live feature – which started rolling out in early-2016 – has already found widespread favour among users worldwide. Twitter also has its very own live streaming platform. These tools are helping customers check out personalized virtual reality (VR) experiences right on their smartphones (mounted with headsets). The growth of VR and underlying AI capabilities have, in turn, opened up many new and innovative marketing opportunities for brands. A company can, with the help of ‘smart virtual reality’, help a target user check out its products/services easily – without the latter having to visit its outlet. Virtual tools will make shopping more seamless than ever before. Note: At the end of last year, Fortune Magazine had stated that ‘2017 will be the year of AI’. Voice technology is already key in most personal home automation platforms (e.g., Amazon Echo). Gradually, the importance of speech recognition and ability to carry out voice commands is increasing in the business domain as well. Right from organizing tasks according to relative priorities and managing inboxes, to arranging meetings and generating customized content – the latest AI assistants can do all these and much more. All that people will have to do is ‘speak’ to the assistant – and latter will do the rest. For more information on applications with voice technology, read this post. The biggest 200 businesses in the world are expected to refine customer service standards and improve their big data analytics tools with the help of ‘intelligent apps’, by 2018. Apart from internal enterprise applications, these ‘intelligent apps’ would include custom software for both the web and the mobile platforms. Recommendation engines with AI capabilities for a wide range of automated tasks are steadily increasing in popularity. Third-party app developers are increasingly trying to incorporate AI features in their products – to enhance the utility of the latter for end-users. Note: In Gartner’s ‘Top Ten Strategic Technology Trends For 2017’, ‘intelligent apps’ occupy the second spot. AlphaGo’s victory over Ke Jie can very well be hailed as a triumph of reinforcement learning capabilities of an AI program. With the assistance of cutting-edge artificial neural networks, it has become possible to solve even the most complex of problems through artificial intelligence. The standard of ‘deep learning’ – a specialized form of neural network-based machine learning – is expected to go further up between 2017-2020, and would be particularly useful in identifying patterns in huge datasets (along with the required classification tasks). Sentient Technologies and Deep Instinct are two of the several vendors worldwide which offer advanced, AI-powered deep learning platforms. Investments in AI applications for medical diagnosis and treatment systems hit the high road in 2016 – and the momentum is likely to grow stronger in 2017 and beyond. According to IDC, medical research will receive a big boost with the proliferation of artificial intelligence – with pharmaceutical discovery expected to grow manifold in the next half a decade. 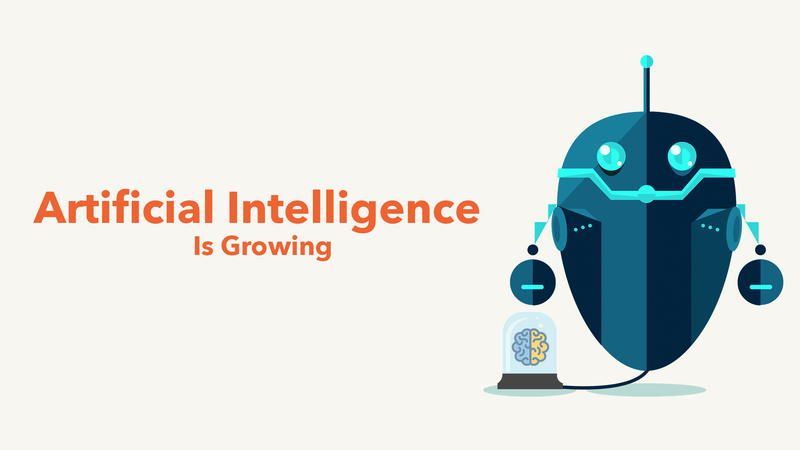 On average, the CAGR (compounded annual growth rate) of AI in the healthcare industry will be close to 70% – a mighty impressive stat in itself. There can be quite a gap between researching a new technology and actually using it. The usage stats of artificial intelligence is a classic example of this. By the start of 2017, nearly 59% of all businesses had started AI-related research work – but only 11% had actually implemented AI systems in their operations. One of the biggest reasons behind this was the fact that handling AI tools required specialized technology skills – and could not be used (at least optimally) by everyone. Things have, however, started to change – with the arrival of customized, feature-rich AI frameworks and tools, like Slackbot, TensorFlow, Wit.ai and Bonsai. Microsoft Azure and Google APIs have started to offer top-notch cloud platform services. As a direct result, users with limited programming knowledge are finding it a lot easier to create ‘smart conversation platforms’ (chatbots) and apps. Obviously, as more developers enter the AI fold, the greater would be the pace of growth of this technology. Robots are no longer obscure sci-fi creations – thanks to the advancements in artificial intelligence. That day is not likely to be too far, when pre-programmed service robots (with deep, on-the-job learning capabilities) will help human employees in workplaces on a regular basis. Right from providing real-time stock updates and pricing information, to suggesting items to buyers and determining discount amounts – a wide range of tasks will be delegated to these robots, which will work on the basis of sophisticated algorithms. Hospitality, retail and healthcare are the sectors that are expected to be benefitted the most by these AI service robots. Note: AI has also helped businesses maintain a dynamic pricing structure for their products/services. An example of this would be the calculation of Uber’s peak-time ‘surge pricing’. Given the enormous growth potential of artificial intelligence, the arrival of many new AI-focused startups across the globe is hardly surprising. As per a 2016 Venture Scanner report, there are well over 1500 AI companies (in as many as 73 nations worldwide) – with new companies starting out every quarter. The total funding for these new AI companies is more than $9 billion. Many of these startups are being acquired by the big players in the tech domain – with Apple, Google and Microsoft (also, Facebook) all in the game. More startups will emerge in 2017 and later, and the large tech companies will make more acquisitions. Artificial intelligence can create new job opportunities, while it can also replace human workers from certain posts (particularly those that involve routine, repetitive tasks). According to Forrester, AI will displace around 16% of the total workforce in the United States by 2025. Around 9% new job openings will also be created in that period (the net replacement of human workers would be, hence, 7%). There are some concerns about AI gradually eating up the slot of human employees in the professional field – although technology is not expected to render humans ‘entirely dispensable’ anytime soon. Note: The position of a worker determines whether there are risks of him/her being replaced by AI-powered tools. While a customer service agent can very well be replaced by intelligent chatbots, specialized tech professionals (like robot monitoring experts and data scientists) will work in collaboration with AI…and not be replaced by it. Use of AI in biometrics systems and for natural language processing (NLP) will continue to increase in the coming years. The predictive capabilities of artificial intelligence will also grow more nuanced. While drones and service robots will become more mainstream, the most important form of AI hardware would be autonomous vehicles – and this market has been estimated by BCG to reach $41 billion by the end of 2025. The overall AI hardware industry will grow at a CAGR of 60%. While most things seem rosy about the surge in AI technology, there remains a question mark over the security factor, as well as the ethics and moral aspects of using these ‘intelligent systems’. If available in the wrong hands, AI can be exploited to launch serious cyberattacks – putting huge data resources at risk. Experts feel that, such ‘rogue’ or ‘malevolent’ AI practices will also increase, as the technology itself gets more powerful. All security concerns will not be completely ironed out within the next couple of years – but there will be some progress on this front. There is huge hype about artificial intelligence in general – and the technology has proven its worth for businesses (in boosting productivity) and individual users. As Internet of Things (iOT) continues to grow, AI will soar higher in future. OS X was rebranded as macOS last year – and the second macOS update will be showcased at WWDC 2017. There is some doubt over whether the update will be called macOS 10.13 or macOS 11 (to match with the iOS 11 mobile platform) – but the latest rumours and discussions in Apple communities strongly point to the former. The upgraded version of the OS for Mac computers will be, of course, be named after a famous spot in California – with Malibu, Mojave and Monterey Bay (less likely) being strong contenders. macOS 10.13 is widely expected to have large-scale feature integrations with the iOS platform – and should have better animations as well. While Amazon Echo and Google Home have upped the game in the domain of home automation – Apple has mostly remained quiet on this front. That is likely to change at this year’s conference, with the Cupertino company slated to reveal its much-hyped Siri Speaker, with enhanced artificial intelligence (AI). The speaker might well have a customized version of iOS built into it, and will probably be powered by Beats technology (Apple acquired Beats in 2014). Right from alarms, music playbacks and web search, to managing smart devices and responding to voice commands – the Siri Speaker will be able to do a lot of things. It remains to be seen whether it can indeed mount a serious challenge to the popularity of Echo. Note: The final name of the Siri Speaker might well be ‘Apple Home’ or ‘Beats Home’. At this year’s September event, Apple will be launching the iPhone 7S/7S Plus (maybe a special 10-year anniversary iPhone model to go with them too). The new phones will ship with iOS 11 – and the latter is set to be announced at WWDC 2017. There is a fair chance of ‘Dark Mode’ finally making an appearance on the iOS platform, while Apple Pay will be updated and further improvements to both FaceTime and iMessage will be made. However, the ‘big reveal’ about iOS 11 should be the updates in Siri – focused on advanced machine learning and AI standards. Apple has reportedly been working on Siri updates at a ‘secret office at 90 Hills Road in Cambridge’, and there is every likelihood of major feature upgrades being announced. There is an outside chance of iOS 11 having some ‘for-iPad’ features as well (just as iOS 9 brought split-screen multitasking to the table). Note: Apple might well step outside convention and name the new smartphone ‘iPhone 8’. The WWDC has traditionally been a ‘software’ event – but there have been instances in the past of the company actually announcing new hardware at the event (the the Mac Pro arrived in 2013). There is a fair chance of new updates being announced for Macbooks at this year’s conference. The 12” Macbook Pro – which last received an update in early-2016 – should be refreshed, while both the Macbook and the Macbook Pro lines might get new models (with the 7th-gen Kaby Lake processors from Intel, and more RAM). According to rumours, users have a chance to get a look at updated 13” and 15” Macbook Pro models at the event. The fact that the availability dates for Macbook Pro (all models) have been pushed back to after the WWDC keynote on May 5 further indicates that new hardware is in the offing. Note: Apple has no intentions of giving up on the often-overlooked Macbook Air devices. It is likely to get an update as well. In 2016, sales of Apple TV (after the launch of the 4th-generation box) showed a big upward surge. While it still lags behind Amazon, Google and Roku – the company clearly has high hopes from its media-streaming device. At the WWDC, exclusive previews of television shows meant for Apple-users (‘Planet of the Apps’ will be showcased) will be held. A new version of the operating system – tvOS 11 – will also be announced, with a set of new features and add-on functionalities. The Cupertino tech giant is probably eyeing a launch for Apple TV 5 – which will support 4K videos – in the fall of this year. In the first quarter of 2017, worldwide sales of iPads fell by a staggering 22% – painting a pretty bleak future for the device. To counter the freefall of iPads, Apple came up with the sleek 9.7” iPad Pro in March – and will, in all likelihood, display another model, the 10.5” iPad Pro (iPad Pro 2, anyone?) at the annual conference. The larger display will be a direct result of the presence of smaller, edge-on-edge bezels in the new model. Ming-Chi Kuo, a KGI securities analyst, considers there is a 70% chance of the 10.5” iPad Pro being announced at the event – with the new ‘tablet PC’ model registrations (4 models) also providing a clear indication. Both the hardware and the software of the new iPad Pro will be bumped up from its predecessors, while the built-in camera will be more powerful too. Apple also has plans to display a ‘wireless input device’ at this year’s WWDC – which points to Apple Pencil 2. Note: In 2017, 3 iPad Pro models will be launched. The 12.3” model will make an appearance probably later this year. The iPad might be struggling, but the Apple Watch is certainly on an upswing. In 2016 Q4, sales of the smartwatch increased by more than 12% (YoY) – with well over 6 million units being shipped worldwide (according to a Canalys report). The arrival of Apple Watch 2, with enhanced functionalities and less reliance on paired iPhones, has been a key factor in pushing the popularity of these wearables. The stage is now set for the arrival of watchOS 4, at the WWDC event. While not much is known about the features it is likely to have, app developers are expecting the Workout application to include more sporting activities. For the health conscious, ‘glucose maintenance’ will be a handy new feature…while ‘sleep tracking’ also has a chance (albeit small) chance of being a part of watchOS 4. The Apple Watch 3, however, is not likely to see the light of day before early-2018. 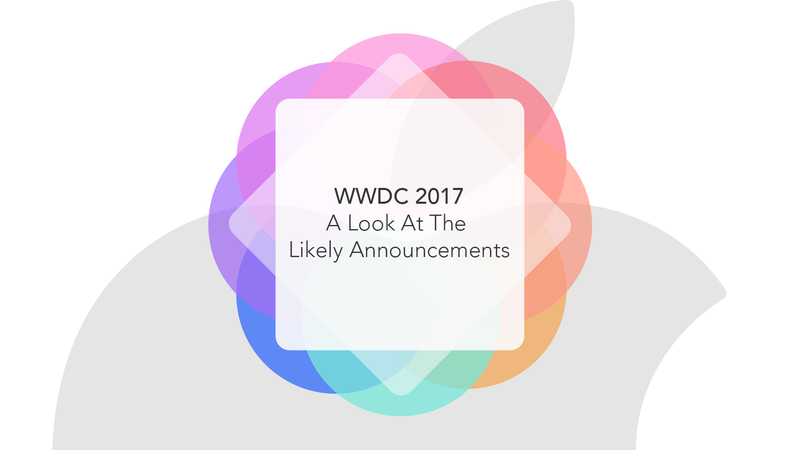 The chances of new iMac computers being announced at WWDC 2017 are slim. However, the company is aware that the existing Mac Pro computer has its fair share of deficiencies – and in a private press meet in April, revealed that work on a ‘new Mac computer’ (which would specifically address the requirements of pro-level users) is already in progress. Craig Federighi might drop more hints about the new iMac during the event, along with a probable launch date. It will be interesting to find out what improvements in specifications are made in the new Apple computer. Note: The Mac Mini last received an update in October 2014. There is hardly any chance of the Mini getting any stage time at the WWDC 2017 either. There has been some buzz about the new Apple TV (fifth-generation) having the Amazon Prime video app. While that would put an end to the Apple-Amazon long-standing rivalry – there has not been much evidence to prove that it is anything more than a rumour. Let’s just say that it will be a fairly big surprise if anything about the Prime video app (for Apple TV) is mentioned at the conference. Once again, not one of the ‘more likely announcements’ at the upcoming edition of WWDC – but Apple has already confirmed that a custom version of iMessage app for the Android platform is under development. The release is more likely to be in late-2017 rather than by the next week though. The presence of a single, cross-platform communication application for SMSes and data-messages would add to the convenience of general users. FB Messenger, and even WhatsApp, might have a new rival. As has been the custom since 2014, the tickets of Apple WWDC 2017 has been distributed through a lottery system (the tickets are priced at $1599). Press invites were sent out well in advance – and for STEM members and students, there are special WWDC scholarships. The keynote for this year’s WWDC starts from 10:00 PST (Pacific Coast Time)…and Apple fans from the world over will be hooked on to the live stream on Monday, that’s for sure!